Hamilton Beach FlexBrew 2-Way Coffee Maker Giveaway! Hamilton Beach has a great new product and I was fortunate enough to test it, and even more lucky to give one away to a lucky reader! This 2-Way coffee maker is perfect for everyone…it’ll brew one cup, or a 12 cup pot, and it’s super easy to use! You can use K-cups or your own coffee for the single serve brewing function (which brews a 14 ounce cup!). It even comes with a reusable single serving cup. And of course, you can program it ahead if you’re brewing a pot. It’s pretty compact too for such a versatile appliance. Great if you’re short on counter space! To enter the giveaway, simply leave a comment below telling me how you take your coffee. For a second entry, follow me on Instagram, and leave a separate comment with your IG user name. Giveaway ends on Wednesday, May 6th at 5pm EST. US residents only. 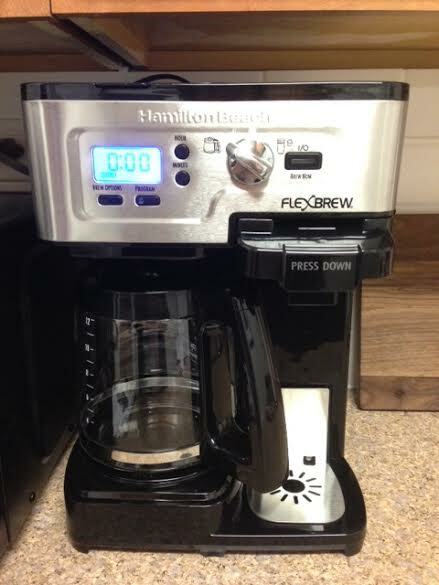 57 Responses to Hamilton Beach FlexBrew 2-Way Coffee Maker Giveaway! Light & sweet. Or at Starbucks, skinny vanilla latte w/2 Splenda. I take my coffee as tea, lol! But, this is great for when company is over! I’m not a coffee drinker, but we love to entertain so this would be perfect for my husband for day to day use and for entertainining!! I am a Bustelo drinker. Rich, dark and smooth with cream and sugar. Little skim and little sugar! I like my coffee in desserts 😉 My husband likes it black! 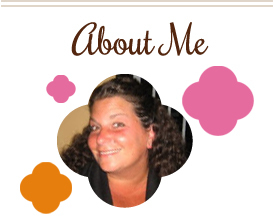 I’m following you on Instagram as jennidreyer! My husband drinks it black. i do not drink coffee but this would solve having to pull out the regular coffee pot on weekends. This is a brilliant invention. Sweet cream creamer. The stuff that’s so bad but sooooooo good. I usually use flavored creamer or flavored coconut milk. Light & sweet…husband loves it black! I love my coffee with cream and stevia. Milk and a little sugar! Skim milk with 2 sugars. We go thru a lot of coffee in this house. Light and sweet! Sorry I typed my email incorrectly with the first comment. I love coffee and I take mine as often as possible with a little whole milk and a little sugar. I take it regular (which, apparently, is a regional term?). I like my coffee strong, with cream and sugar. Skim milk and 1 Splenda – iced or hot! I like a little sugar and some foamy milk. I love my coffee with flavored non diary creamers! I like more milk and sugar than coffee in my coffee, but my husband would love this!